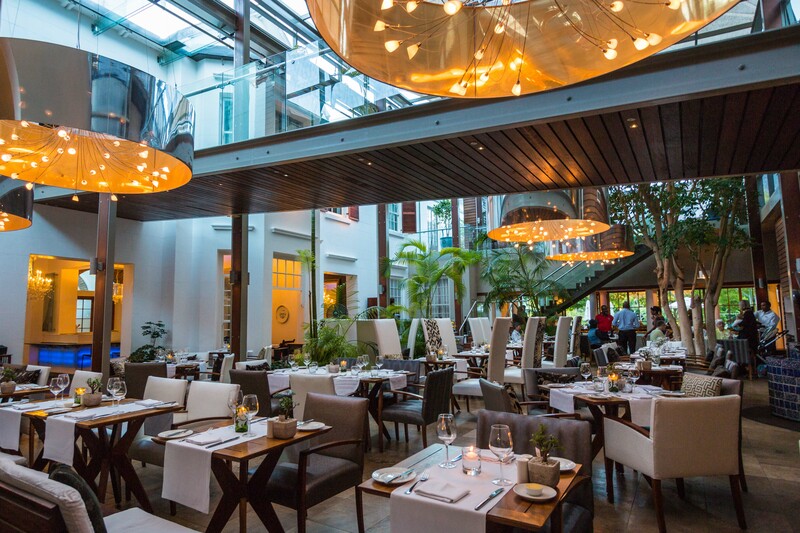 Seamlessly blending old with new, the Vineyard Hotel on the fringe of Cape Town in South Africa, delivers the charm of a 200-year-old heritage house with the comfort of modern amenities and stylish décor, all set to a stunning backdrop of Table Mountain along the Liesbeeck River. Contemporary architecture utilizing glass and steel, has expanded the property beyond the original wood structure, delightfully wrapped during summertime in green vines punctuated by shocks of pink blooms. Built in 1799 by British colonial servant Andrew Barnard for his Scottish wife Lady Anne Lindsay, the property’s name derived from the vineyards found near the grounds at the time. Notably, it was the first English country house built in South Africa. Lady Anne set to cultivating beautiful, meandering gardens along the riverfront setting, which still afford guests today the chance to enjoy indigenous flora and fauna and abundant bird life. Chic rooms feature cool color palates in contemporary fabrics; mine was in soothing sandstone and sky blue. The mountain view reminded why I came to South Africa in the first place: It boasts one of the most spectacular landscapes on earth. The warm service at the hotel left me wishing I’d had more time to relax on the beautiful grounds or utilize amenities like the expansive fitness center, exceptionally equipped for a hotel gym. The Javanese massage at the spa. 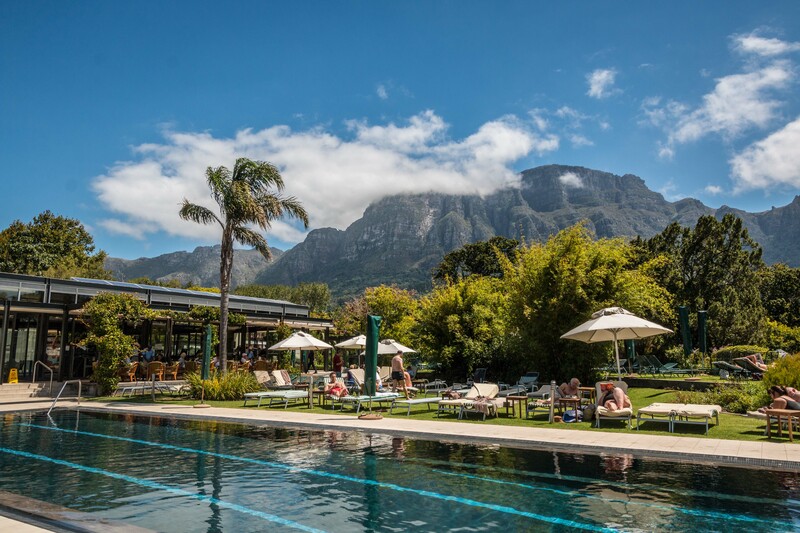 Poolside with views of Table Mountain. 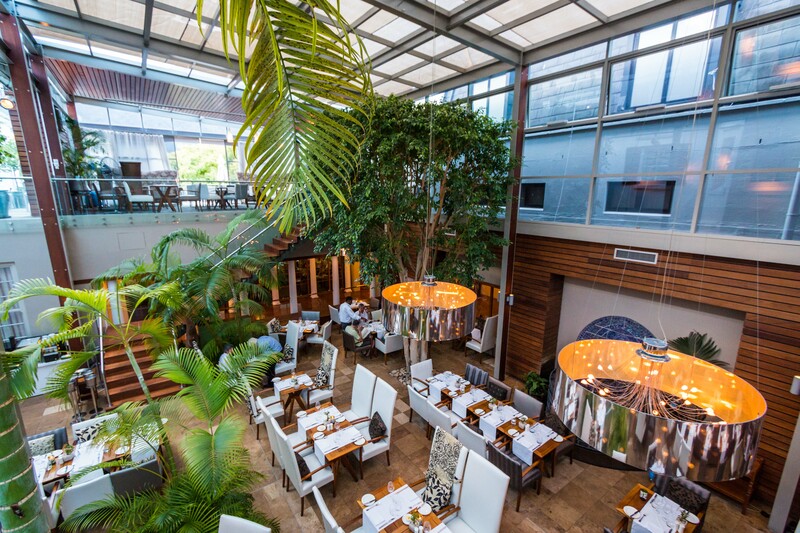 Tucked into the leafy, upscale suburb of Newlands, the Vineyard Hotel is within easy walking distance of the up-market Cavendish Shopping Centre and is just 10 minutes away from the City Center and the Victoria & Alfred Waterfront. Yesterday marked the culmination of a weeklong celebration of Nelson Mandela’s life as he was buried in his childhood village of Qunu, South Africa. 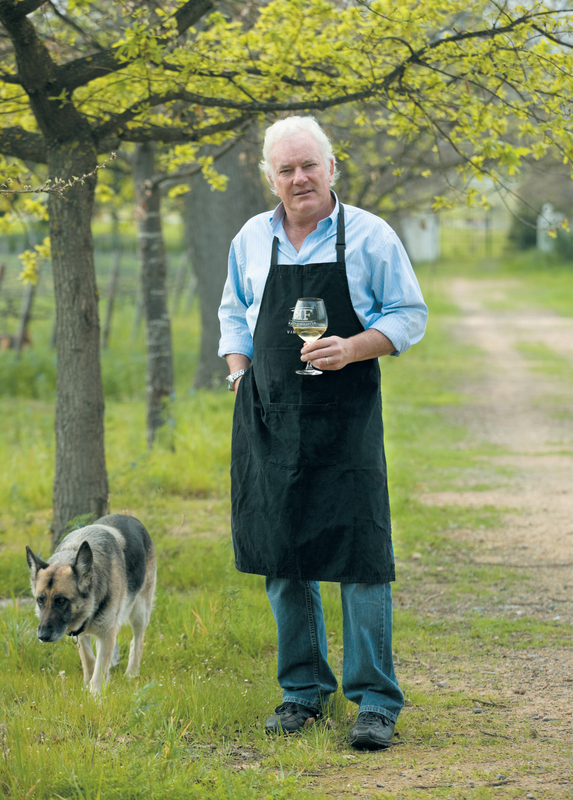 Continuing my conversations with South African winemakers, Ken Forrester of his eponymous label Ken Forrester Wines, takes a few minutes to share his thoughts on Mandela, the state of S.A.’s wine industry, and why Chenin Blanc is the most misunderstood (but not for long) grape. 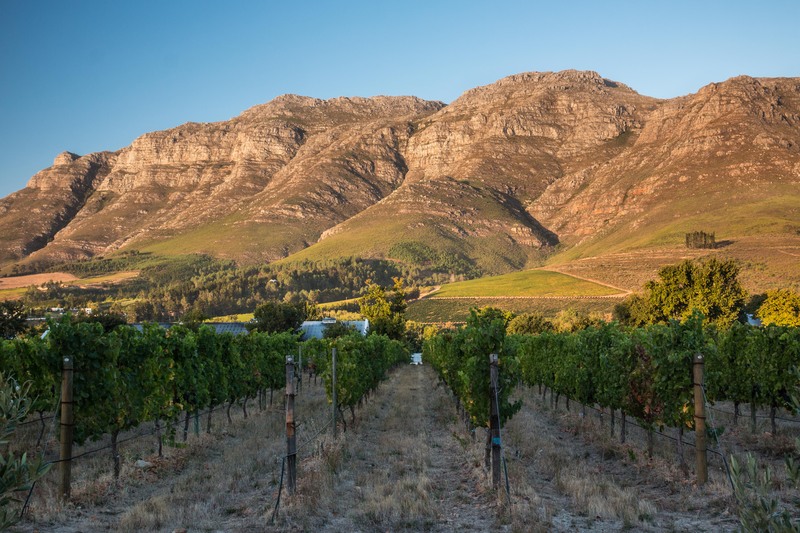 Situated on the slopes of the Helderberg Mountain, in the heart of South Africa’s most famous wine region Stellenbosch, our vineyards are commonly referred to as the Home of Chenin Blanc and other premium award-winning wines. Over the years our range of top quality wines has received massive national and international acclaim with literally hundreds of awards and accolades over the last 20 years and are broadly available in reputable restaurants and exported around the globe. 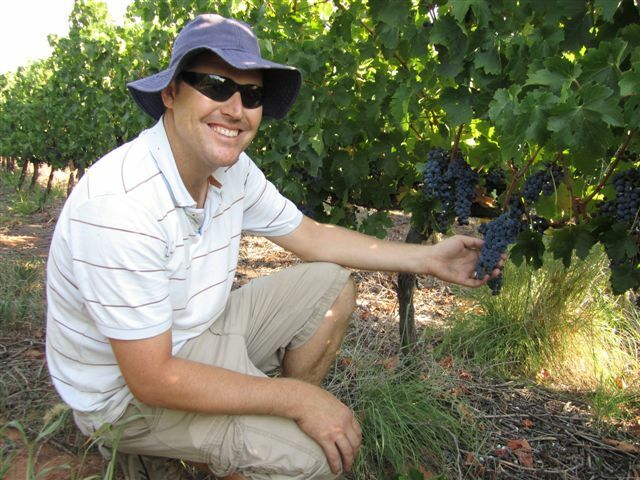 Ken Forrester’s philosophy has always been to create a range of handcrafted, individually made wines that suitably complement a wide variety of food styles and provide excellent value. I was born in Chingola, Zambia, miles from any vineyards or wineries! 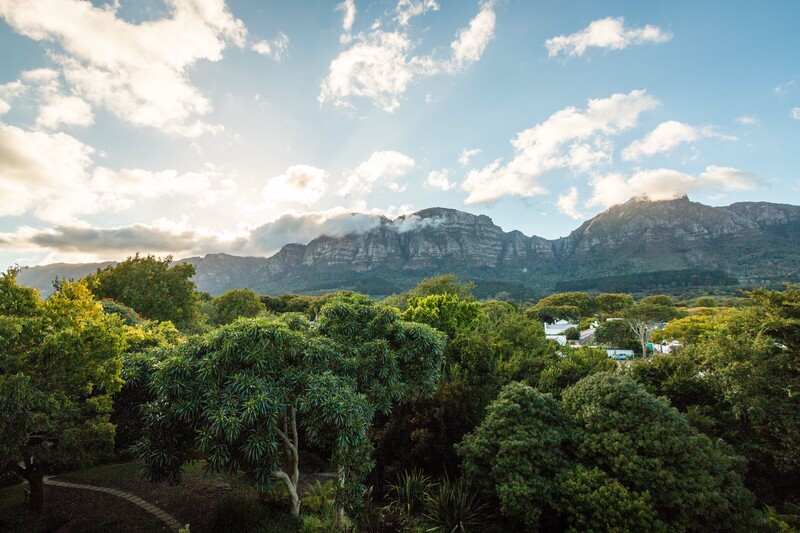 I am now living in the shadow of the Helderberg Mountain in the region of Stellenbosch right on the Atlantic ocean – the most beautiful place in the world. 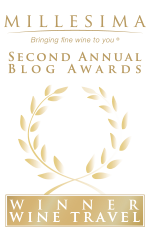 Sheer luck–not sure if it was good luck! Passion, passion, passion, careful what you wish for! The world witnessed the passing and subsequent burial of Nelson Mandela last week. What was the mood of the country and how do you think he influenced South Africa’s wine industry? Do you think South African wines have any particular reputation in the States that you think is inaccurate? Yes, too often we are seen as cheap and cheerful “critter” wines – 2 cats, 3 dogs, spotted frog, etc. This is because we are seemingly naïve enough to provide buyers with their request “for the cheapest possible juice” but this is not what SA is all about; our best wines can stand their ground with the very best in the world and this “cheap wine” perception is unfortunate and inaccurate. Which wine or grape is the least understood or respected? 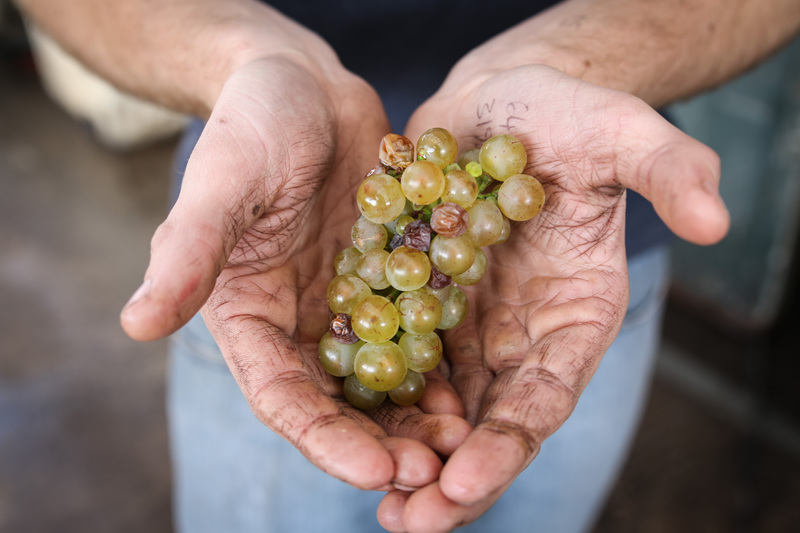 Chenin Blanc, but its time is coming; more and more quality producers are making great wines from Chenin Blanc. 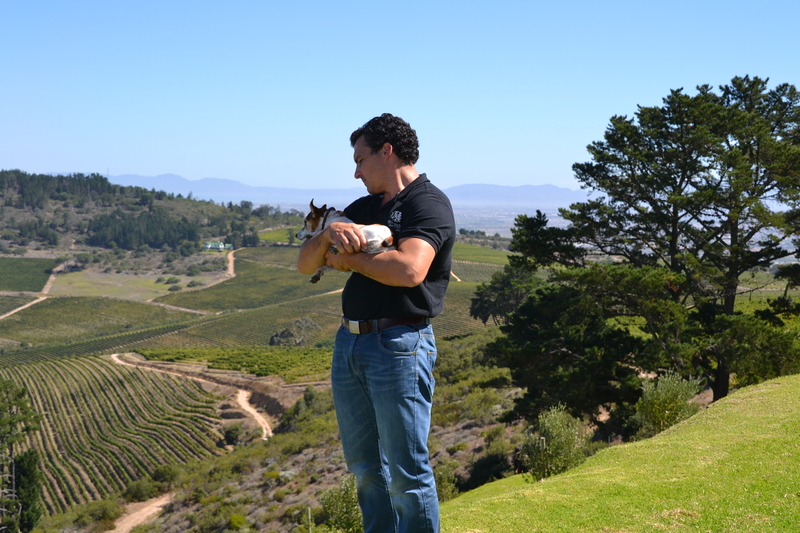 What excites you most about South African wine right now? 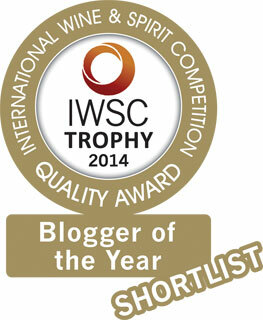 Better quality every year and we’ve got a great new wave of young winemakers! What do you drink when relaxing at home? 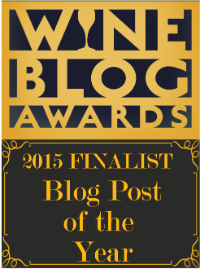 Ken Forrester Old Vine Reserve Chenin Blanc or Renegade (a GSM blend). What types of food do you enjoy eating? Fresh, wholesome pasta; grilled/barbeque meat; risotto; and fresh, garden grown salads. Yep! Max, Bella and puppies Phantom & Whiskey. Today marks the culmination of a weeklong celebration of Nelson Mandela’s life as he was buried in his childhood village of Qunu, South Africa. 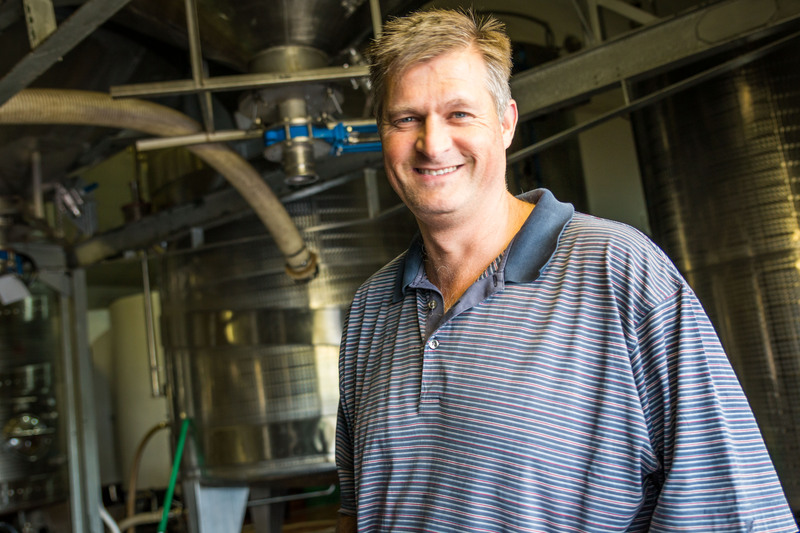 Continuing my conversations with South African winemakers, Carl van der Merwe of DeMorgenzon takes a few minutes to share his thoughts on Mandela, the state of S.A.’s wine industry, and why a tainted wine from a faulty cork is the worst part about being a winemaker. I was born in Cape Town and have stayed near the mountains and the sea ever since. 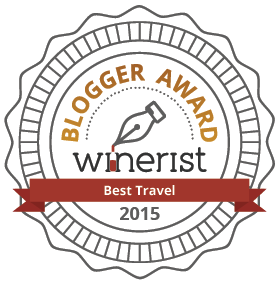 I am currently living in the greatest wine producing region in Africa, namely Stellenbosch! Before deciding on a career, I did an in-depth analysis of what I wanted and needed in a job to best express my values and interests. I narrowed it down to natural sciences in an agricultural field and being a lover of the outdoors, figured that working in the winelands, which tend to occupy some of the most beautiful spots on earth, was the best option. I planned my course of study and have spent a lot of time travelling around the world to various wine regions in search of inspiration and perspective. The world witnessed Nelson Mandela’s passing and burial this week. Do you feel he made a contribution, either directly or indirectly, to the wine industry? Nelson Mandela’s release from jail and subsequent formation of a transitional government, aided the dropping of sanctions that strangled not only South Africa’s ability to trade internationally, but also South African wine producer’s desire and ability to be exposed to an international wine market. 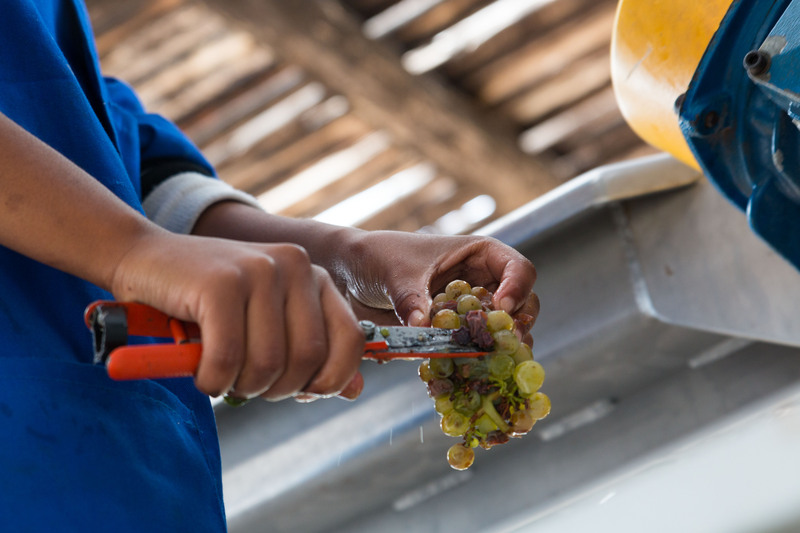 Since 1993, a greater percentage of winemakers have traveled abroad and returned with a keen sense of South Africa’s unique selling points, and the importance to produce wines that compete on an international level. 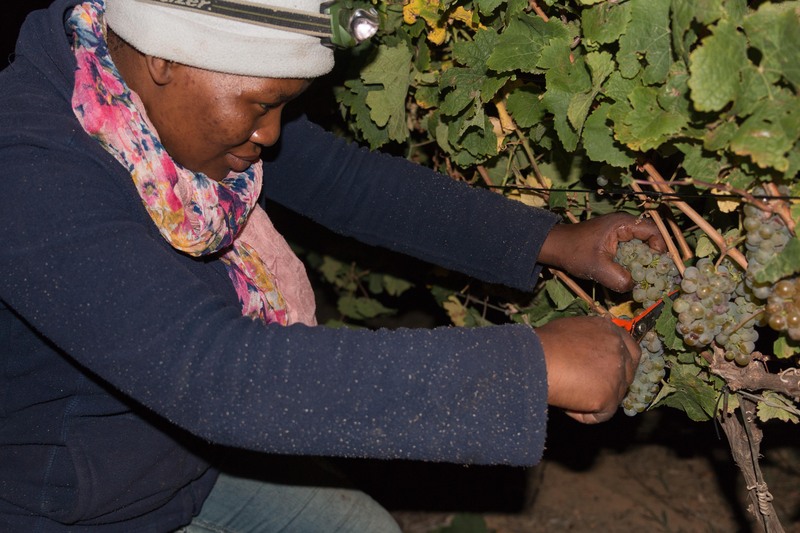 Winemakers, although proudly South African, benchmark their wines and abilities against the best in the world and have brought a new sense of focus to the industry. 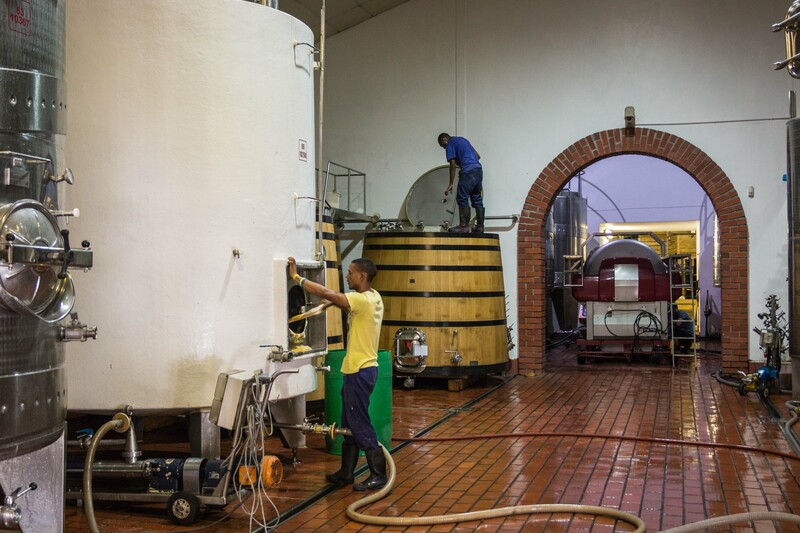 Winery owners desire to make “world class” wines has assisted in raising the quality bar with the necessary investment in facilities and vineyards. What is the mood around the country right now? South Africans are a resilient, hopeful and strong people. We have weathered the storms of migratory, political, social and environmental change. At times we have been on a tipping point but hope, forgiveness and a genuine desire to “make it work” is evident amongst the vast majority of us. We are all saddened at the loss of Mandela, but his legacy surpasses his physical presence. 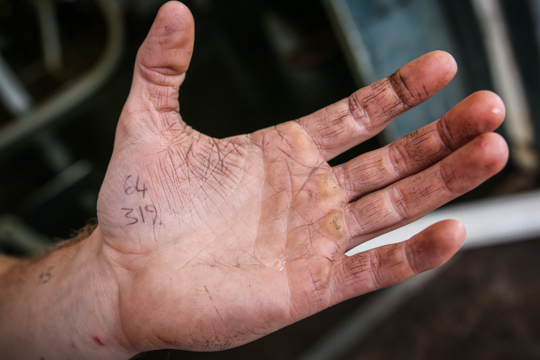 What is most and least rewarding about being a winemaker? Most rewarding are probably the people who all share a common interest in good food and good company–not to mention good wine! Least rewarding and bottom of the list are great bottles of wine tainted by faulty corks. What are the challenges of making wine in your region? 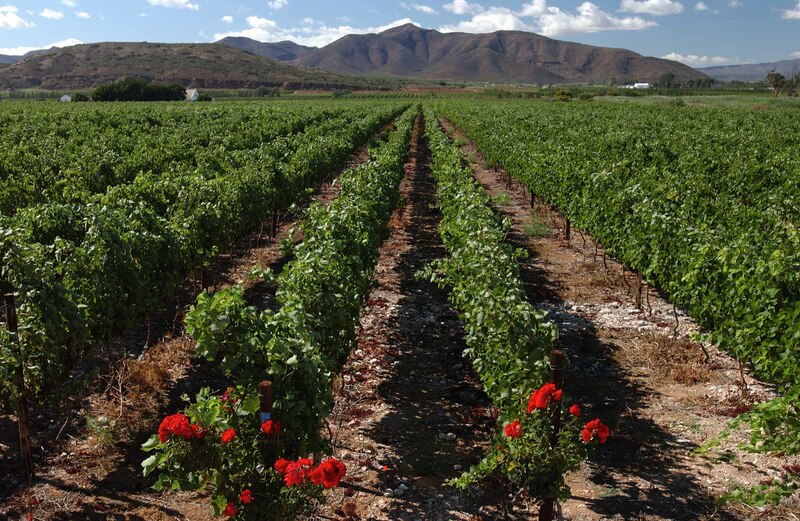 The Cape can get very hot and windy in summer and this can result in stressed vineyards and rushed picking dates. 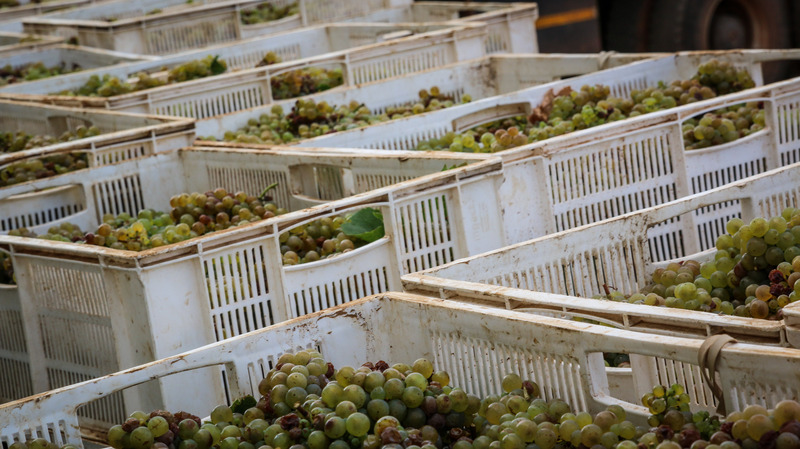 To achieve a balance of freshness and ripeness one needs to be very in tune with your vineyards and able to make rapid picking decisions. Freedom. 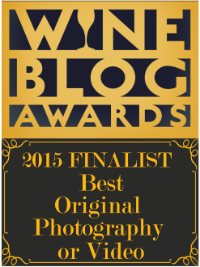 We are not bound by rigorous industry control and there is so much opportunity to innovate and be recognized. A glass of cold South African Chenin Blanc is always a treat, otherwise, I have a small cellar of international wine and I really enjoy drinking great wines from around the world. In Piedmont, Italy during truffle season! Nebbiolo from Barolo or Barbaresco. I love cooking with fresh ingredients, especially fresh sea food. Fresh mussels cooked in white wine cream and herbs with fresh crusty bread is one of my favorites. Fresh Cape Crayfish, lightly boiled and finished on the barbecue is also a great treat. I often have to listen to my children’s CD’s for as long as I can handle; otherwise, my personal choice is varied and suited to my mood. Anything from classical to jazz and hard rock. 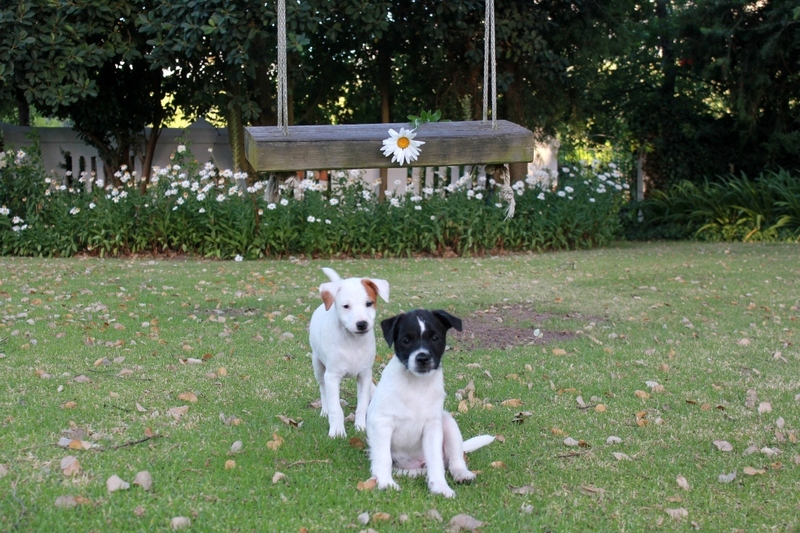 Yes–Dottie and Jane, Jack Russell terriers. 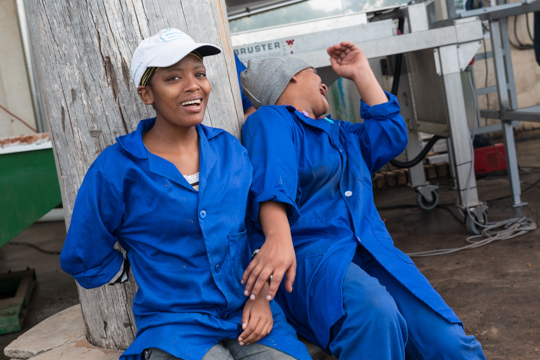 In light of Nelson Mandela’s passing and the publication of my article on his vinous legacy, I decided to offer South African winemakers a channel through which to share their stories. I interviewed a handful of winemakers and winery owners regarding their thoughts on Mandela’s influence on the industry and the mood of the country as it mourns this week. We also dig into the challenges of their respective regions, the foods they like, and everyone’s favorite, winery dogs. 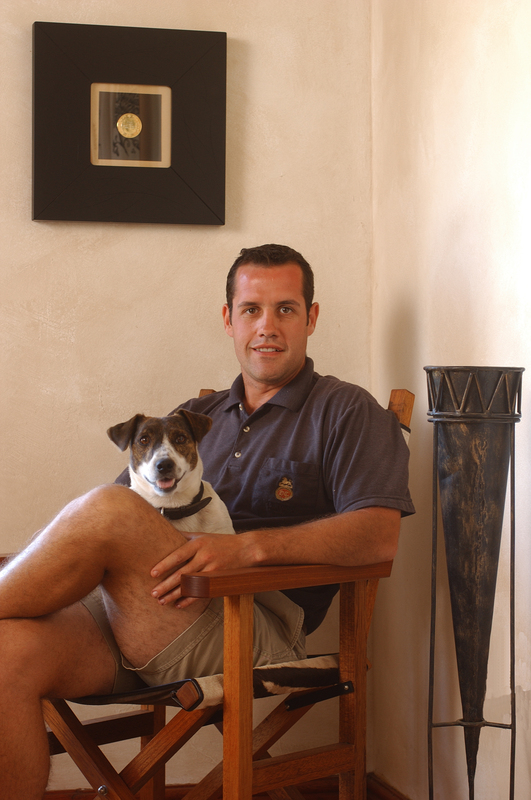 Emil and Sonette den Dulk left the bustling metropolis of Johannesburg in 1991 to seek the beauty and serenity of the Cape winelands. 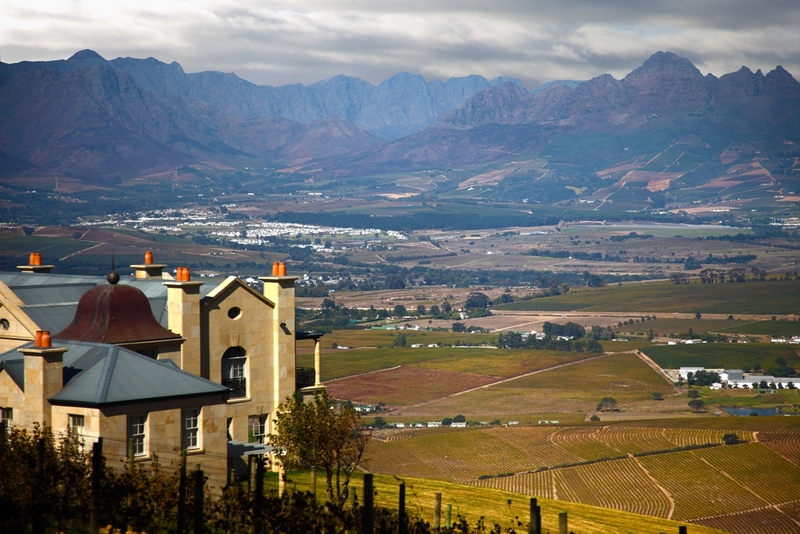 They stumbled upon what Emil refers to as “a little piece of heaven” in the Polkadraai Hills, with the magnificent Stellenbosch Mountains as backdrop. It was here that they established De Toren Private Cellar. 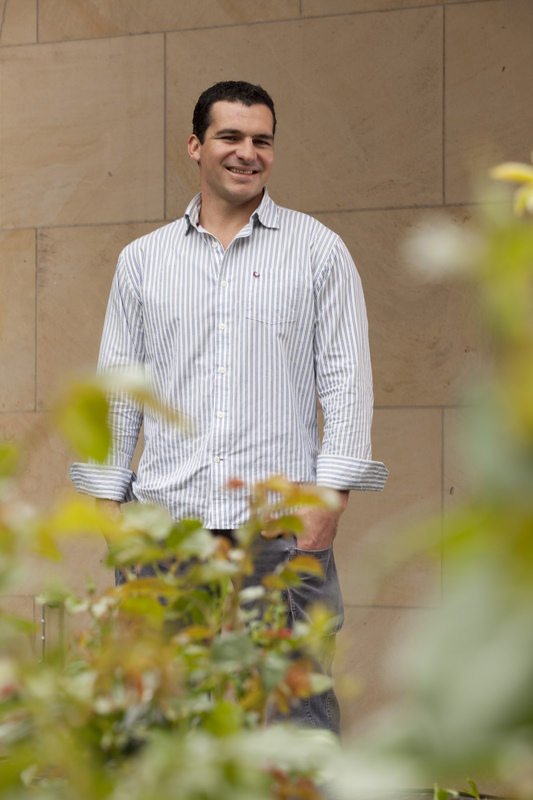 With the help of specialists from the University of Stellenbosch, Emil set out to carve a niche for his boutique estate by creating South Africa’s first five-varietal Bordeaux blend, the now legendary Fusion V. The current winemaker is Albie Koch. Albie, where were you born and where do you live now? 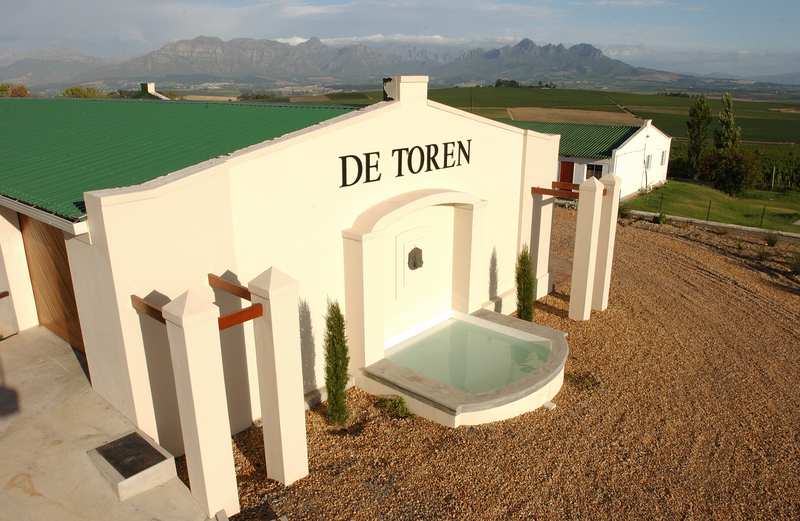 I was born in Vryburg (Kalahari), South Africa, and I now live at De Toren in Stellenbosch. Out of curiosity. How does one grow grapes and make something so enjoyable! We all witnessed around the world, the passing of Nelson Mandela this week. Do you feel he made a contribution, either directly or indirectly, to the wine industry? What is the mood around the country right now? Nelson Mandela lead us out of the apartheid era and into the opening of international markets. This lead to an explosion of our wines being exported to all over the world. Yes, he most definitely contributed to the wine industry. Currently the country is in deep mourning and in a somber state. The world needs more leaders like Nelson Mandela. 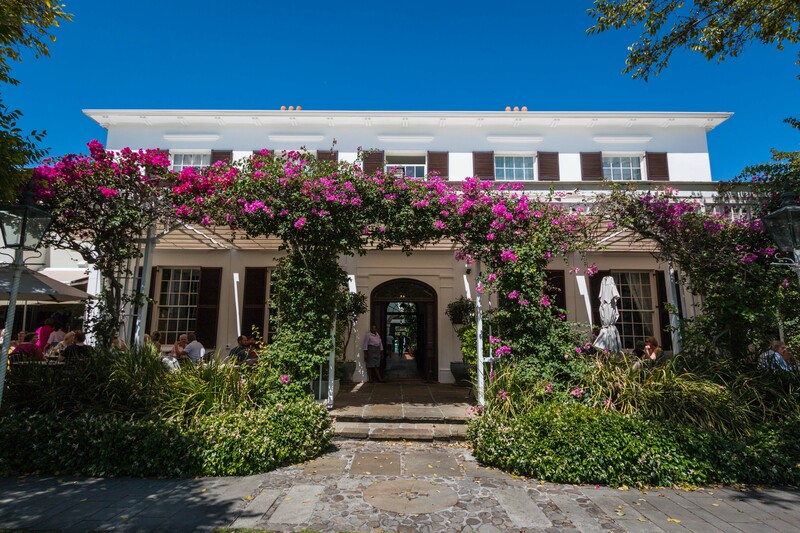 Stellenbosch is blessed with all aspects: weather, diversity, and sunshine! Our biggest challenge each season is also the most appreciated thing in a season–wind. Wind ( southerly wind here has a nickname: The Cape Doctor) at the wrong time (flower stage) can have detrimental effect on your crop, but then wind during the season (southern winds are cool) is the air-conditioning in our vineyards, which gives us the cool climate. Have South Africans’ wine preferences changed in the last 10 years? South Africans are becoming true wine consumers and are now opting to explore the higher-end of wines, not just the bottom. In the past, the overseas markets were flooded with low-quality wine from South Africa, thus S.A. was not recognized as a high-end producer. If you look at the ratings and weigh them against some French and California bottles, however, one will see that we are a wine producing country that can punch in the same weight class as these highly-rated wines. We should be taken seriously! I do not know about understood or respected , but underestimated is definitely Malbec. The Malbec we can grow in South Africa is awesome! Just ask the few that have tasted our Malbec. I tend to drink more of our fellow winemakers wines from South Africa, and on the odd occasion, will have French or US wines. My every day drinking wine: Chenin Blanc from South Africa. We have some wonderful examples of stunning stuff. Because our weather is so great we tend to prepare our food outside on a braai (barbeque), whether it is steak or fish. Anyone that has had a braai with a glass of wine, overlooking False Bay on a clear summer evening, will tell you there are probably very few things that can beat that feeling. If you could be traveling right now, where would you be? Kalahari/Botswana. The tranquility of the bush can be found nowhere else. Believe me, nowhere else. 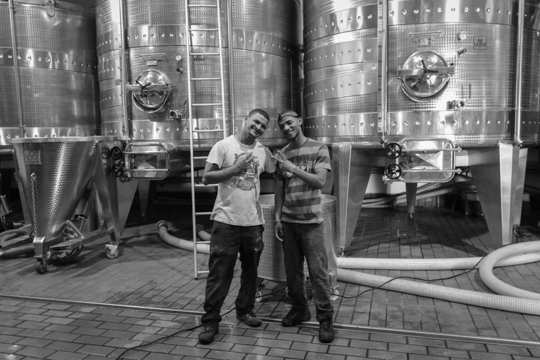 In light of Nelson Mandela’s passing and the publication of my article on his vinous legacy, I decided to offer South African winemakers a channel through which to share their stories. 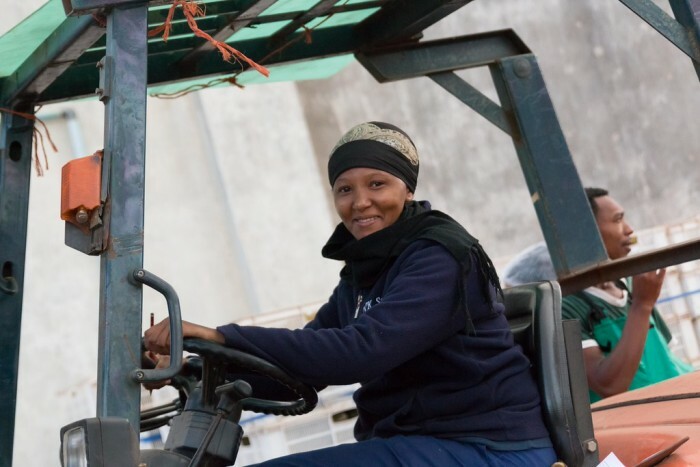 I interviewed a handful of winemakers and winery owners regarding their thoughts on Mandela’s influence on the industry and the mood of the country as it mourns this week. We also dig into the challenges of their respective regions, the food and music they prefer, and everyone’s favorite, winery dogs. Excelsior Chardonnay, Excelsior Cabernet Sauvignon, Excelsior Syrah and Excelsior Sauvignon Blanc. All listed at $9.99. I was born in the pretty town of Montagu, about 10 miles from my current home on Excelsior. I was born into it. 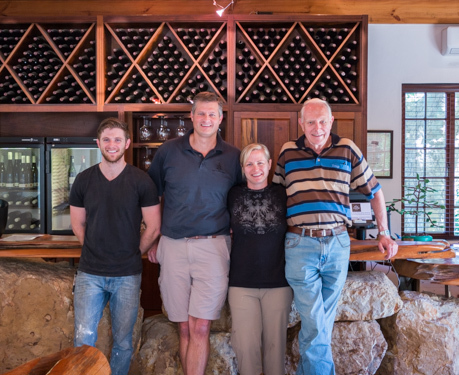 We have been farming and making wine on Excelsior for 150 years –I am the 5th generation. Some of my earliest memories were of sitting in front of my father on the motorbike staring at vines. The whole world witnessed the passing of Nelson Mandela this week. Do you feel he made a contribution, either directly or indirectly, to the wine industry? Mandela made a massive contribution. SA was at a precipice in 1992, and civil strife was a very real possibility. We only have to look at the many examples in Africa to see that this creates long, lasting problems. Mandela saw the big picture and lead form the front. He got all races to pull together and in the right direction. Our business has grown exponentially in the following 20 years and SA is a better place. There is still a lot more to do, but at least we know that we can do it. All South Africans should be grateful to this great man. Strange and not how I expected. There is sadness, but more a reflection of what he stood for and what we can learn from that. There is also a celebratory vibe, we celebrate his life. Take a look at our blog for an interesting story that my cousin Anton told about an interaction he had with Mandela. 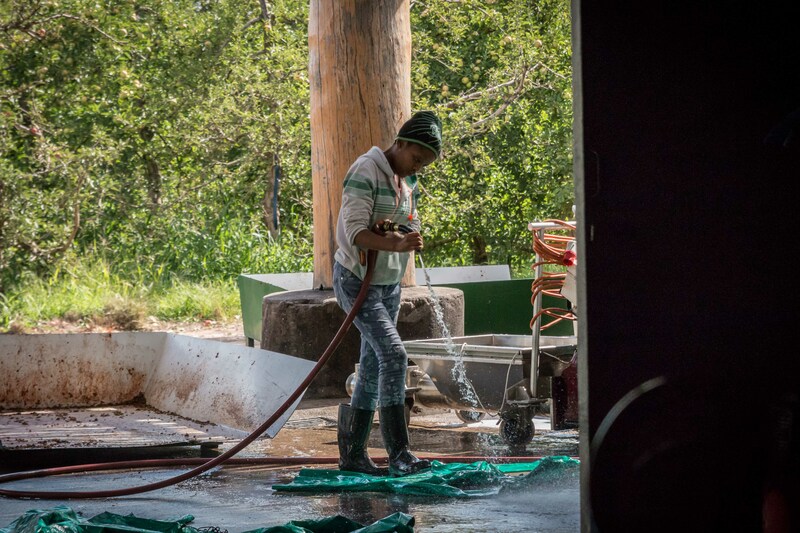 I find it very rewarding following a vineyard’s path from planting to the production of quality grapes, and finally seeing customers enjoy it! Wine is possibly the most fascinating agricultural product. The most depressing part of my work is unfortunately the weather–having rain during harvest can destroy a whole season’s hard work. Robertson is well-adapted for wine growing. There aren’t too many challenges; we are blessed with a dry climate, which means we rarely need to spray, and wonderful limestone soils. We are not well known as a wine region which is a challenge, but Roberson is growing its reputation as an area for producing quality wine. 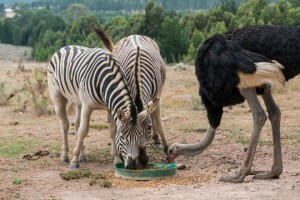 South African wine manages more complexity in its wines than most New World regions. We are still new in the sense that the modern phase of the wine industry only really started in the early 1990’s. There is huge potential for growth. Wine! I love crisper, mineral-y styles of Chardonnay, whilst in winter, Cabernets really hit the spot. I also have a soft spot for Rhone-style reds. What kinds of food do you enjoy eating? There is nothing better than a South African braai (barbeque). Lighting a fire with real wood (never charcoal) waiting for the coals to be the right temperature, whilst enjoying a glass of wine, and then cooking whatever is available. Recently, I have been braaing quite a bit of game fillets. The trick is to have a hot base of coals, and then just sear the meat for about 3 minutes per side. The meat is incredibly tender and flavoursome. We often post recipes on our blog The Horse’s Mouth. Anything that gets my two year old son Matthew dancing. Super cute! Is there a winery dog? Of course! My dog is a German Shepherd called Nyanga.